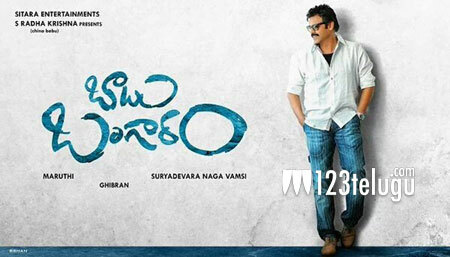 It is a known fact that the shooting of Victory Venkatesh’s upcoming film Babu Bangaram is going on a brisk pace. Latest update reveals that the makers have decided to release the first look of the film on April 8th as a Ugadi special. Apparently, Venkatesh’s characterization will be one of the highlights of the film. Nayantara plays the female lead in this family entertainer. Maruthi is wielding the microphone and Ghibran of Jil fame is composing the tunes.